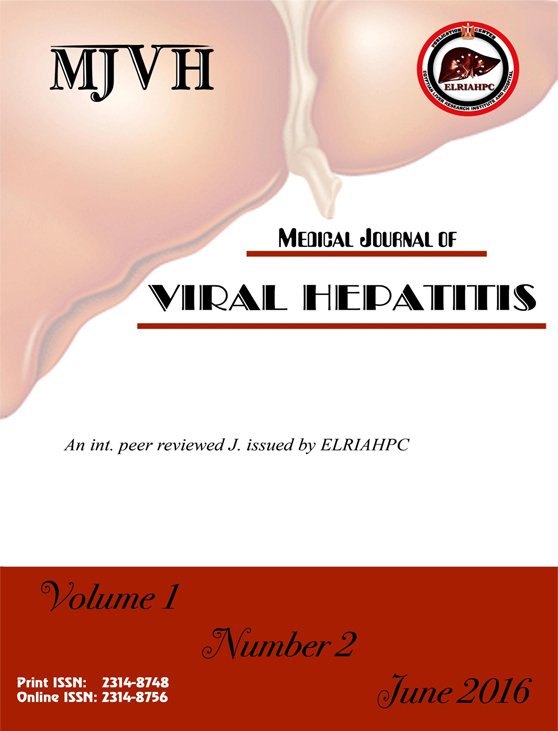 MJVH is an open access; peer-reviewed journal with broad scope covering all aspects of viral hepatitis, liver diseases, disease prevention and treatment, supported by an international editorial board consisting of a distinguished team of epidemiologists, clinicians, pathologists, virologists and specialists in transfusion medicine working in the field, thereby bringing together in a single journal the important issues in this expanding specialty. Shiha G.; El-Basiouny M.; Soliman R.; Mikhail NNH. Soliman R.; Shiha G.; El-Basiouny M.; Mikhail H.
Shiha G.; El-Etreby S.; Bahgat M.; Hamed M.; El Sherbini M; Ghoneem EA. ; Zalata K.; Soliman R.; El-Basiouny M.; Mikhail NNH. Toson E.; Shiha G.; Abdelgaleel A.
Elbasiony M.; Shiha G.; El-Desoky AA. ; Seif SM. ; Abbas NF.